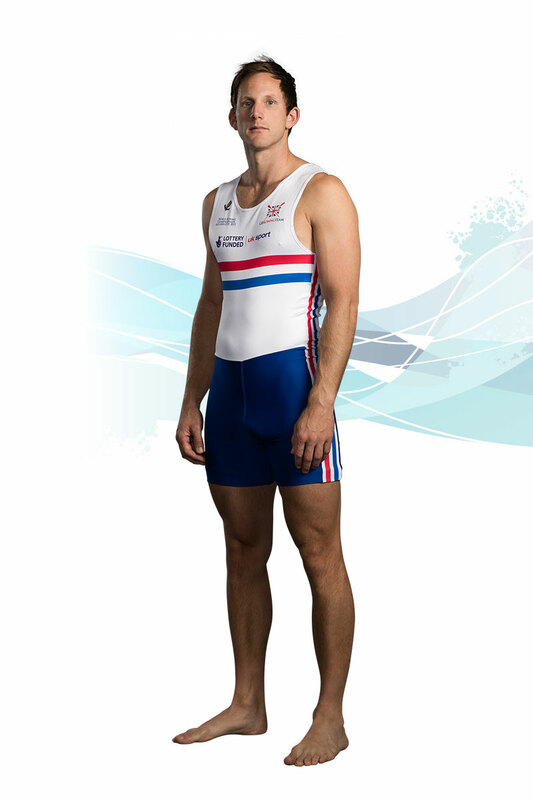 After winning silver at the Beijing 2008 Olympic Games and bronze at the London 2012 Olympic Games, Matt Langridge completed his Olympic medal collection by claiming gold with the men's eight at the Rio 2016 Olympic Games. Matt Langridge was at his fourth Olympic Games in Rio. He has been in the senior men’s heavyweight squad since 2003 and has competed in both sculling and sweep during that time. He first made his mark by becoming the first British rower to win men’s single scull gold at the World Rowing Junior Championships. Langridge returned to the men’s eight for the 2016 season and won a bronze medal at the European Championships in Brandenburg, GB taking third place on the line. 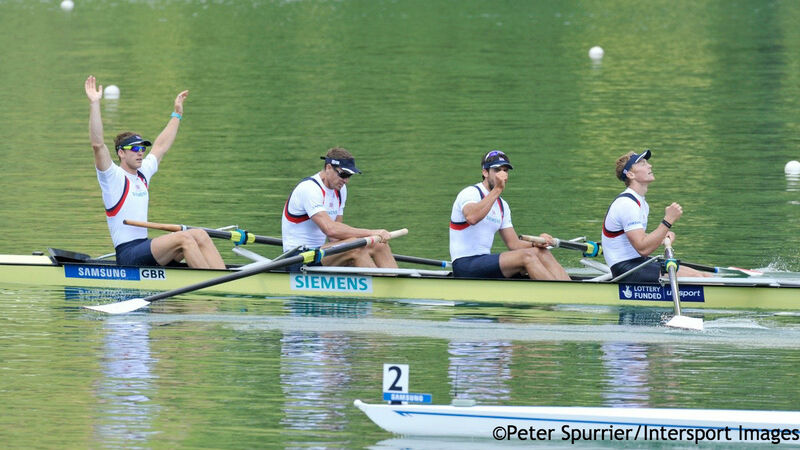 Alan Sinclair subbed in for the ill Pete Reed for the Lucerne World Cup, where GB finished fourth. Reed returned for the World Cup in Poznan, where the GB eight enjoyed a good tussle with the Olympic champions from Germany on their way to a silver medal. The eight saved their best until last, winning their Olympic heat in fine fashion before producing a devastating performance in the final and leading from the front to be crowned as Rio 2016 gold medallists. Langridge had rowed in the men’s pair with James Foad in 2015, establishing themselves as the nearest challengers to the all-conquering New Zealand men’s pair of Eric Murray and Hamish Bond. They started the season strongly by winning European Championships gold in Poznan but sat out the World Cup in Varese following an injury niggle. They won silver at the next one in Lucerne before finishing runners-up to Murray and Bond at the World Rowing Championships in Aiguebelette, qualifying the boat for the Rio 2016 Olympic Games in the process. However, their partnership ended after Foad was ruled out of the 2016 season by injury. 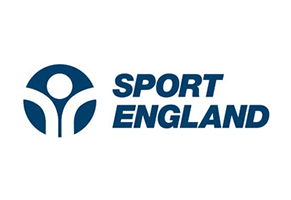 Langridge started the Olympiad in the men’s double scull with Bill Lucas, winning a bronze medal at the World Cup in Eton Dorney and finishing eighth at the 2013 World Rowing Championships in Chungju. The 2014 season saw him win silver with the men’s eight at the World Cup in Aiguebelette before being paired with Foad. They immediately formed a good partnership, winning an eye-catching silver at the Lucerne World Cup after just two weeks together. They moved on again at the World Rowing Championships in Amsterdam, tracking Murray and Bond to pull away from the field and finish three seconds clear of the bronze-medallists from South Africa. After winning bronze with the men’s eight at the Beijing 2008 Olympic Games, Langridge claimed his first world championships title in Poznan to cap an excellent 2009 season in the men’s four. He had also stroked them to two golds and a bronze on the World Cup circuit. Two more world cup golds and a bronze followed in 2010 but there was disappointment at the World Rowing Championships as, in challenging conditions on New Zealand’s Lake Karapiro, the four finished just outside the medals. Langridge retained his place in the boat for 2011 and helped GB win a brace of world cup golds before reclaiming the world title in style at Bled. He returned to the eight for the 2012 Olympic season, where world cup silver in Belgrade and Lucerne, plus bronze in Munich, saw the GB crew head to Eton Dorney among the medal favourites. They went on to claim bronze behind Germany and Canada, earning Langridge a second Olympic medal. Matt’s medals with the men’s eight at the Beijing 2008 and London 2012 Olympic Games continued an impressive roll of honour which began in his junior days. 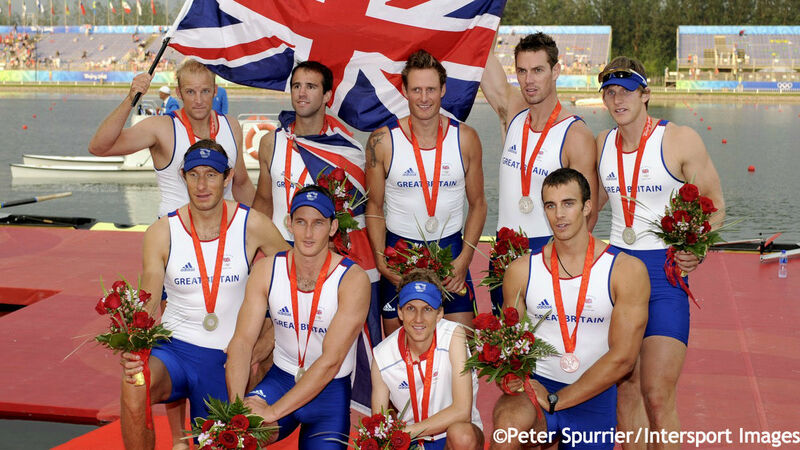 After narrowly missing out on a podium place in the double scull at the 2000 World Junior Championships, Matt made history the following year by becoming the first GB rower to win single scull gold at the event. He earned his first senior vest in 2003 and helped the men’s quad qualify for the Athens 2004 Olympic Games with a ninth-placed finish at the World Championships in Milan. Matt was paired with Matt Wells in the men’s double in 2004 and won bronze at the World Cup in Poznan. They missed out on the Olympic final by the narrowest of margins but showed great character to win the B final. After spending 2005 in the men’s quad, winning bronze at the Lucerne World Cup, Matt made the big decision to switch to sweep. He was part of the men’s eight that finished fifth at the 2006 World Championships in Eton Dorney and then enjoyed success in the men’s pair the following year by winning World Cup gold in Linz and World Championships bronze in Munich. Matt returned to the eight in 2008 and won gold, silver and bronze in the World Cup series before collecting his first Olympic medal in Beijing, a silver after a thrilling race with Canada and the US. Langridge learnt to row at Northwich RC under his coach and mentor Paul Rafferty, who has guided him throughout his career.